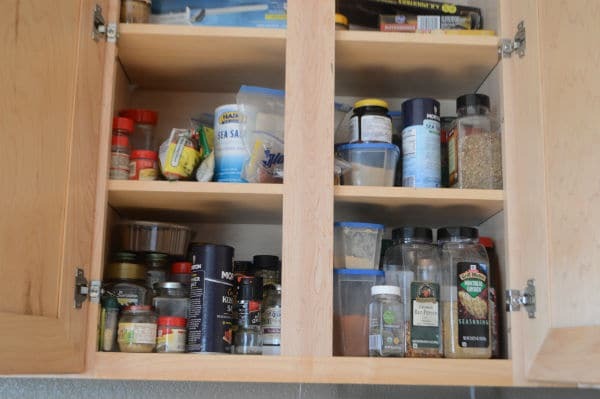 If you have catched the spring cleaning bug, there is one area in your kitchen you may want to add to your list : your spice cabinet. This is an unusual post, it is not a recipe this time. Instead it is a project I’ve done in my kitchen to make my recipes go smoother and to ensure I will not lose my sanity in the kitchen looking for this bottle of garam masala I used to have. 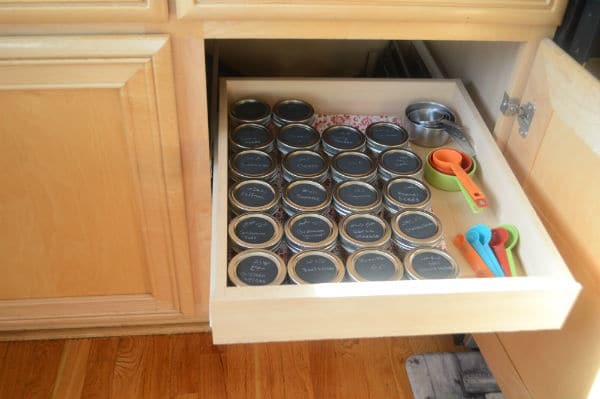 Everyone has a cabinet or a drawer in the kitchen for the spices. Usually, the most used spices are in the front while others are stashed away and neglected in the back, until you really need them. Only then you start digging through the cabinet in the middle of a recipe, hunting for that bottle you knew you had. Some of the spices might also be expired for quite some time or even worse you do not have enough for your recipe. 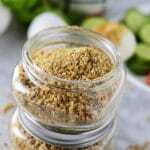 So, to make sure you spot the nearly empty bottles early and to maintain a fresh and safe inventory of spices, you’ll need to clean and organize your spices regularly. Here is a look at my spice cabinet, or what used to be my spice cabinet. Overloaded with spices and imagine when I try looking for something!! it is a disaster. Seriously guys, although I’ve used an organizer like this, but it did not help at all. Things kept falling off, and when I need something in the back I’ve to get almost everything out. I needed a way so I can see all the spices at once but did not know how!! The solution started with the idea that I am using the wrong part of the kitchen. I needed a drawer not a cabinet as I do not want them stacked on top of each other. I’ve found these cute 4oz jars, very convenient for storing the spices. 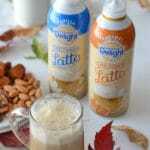 They are sold everywhere in a 12 count packages, really very good. 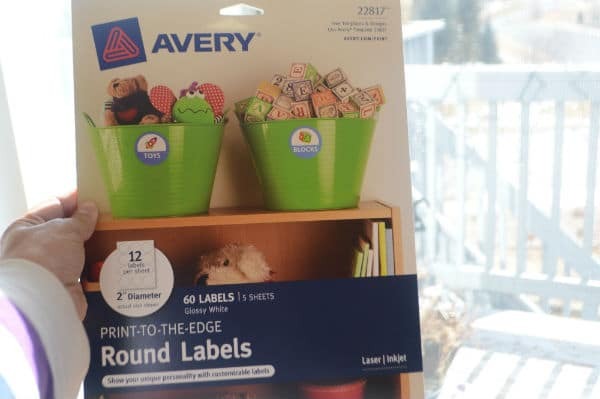 Also bought these round labels for labeling the jars tops. 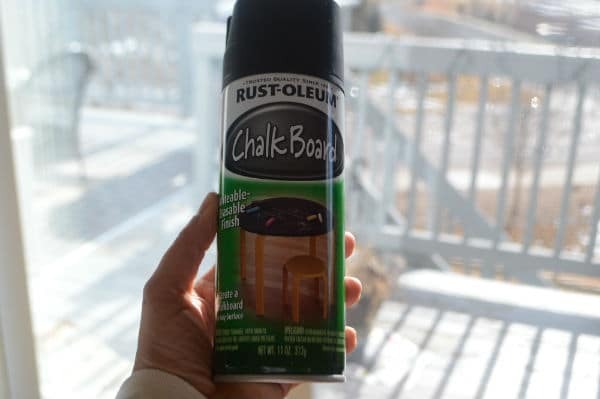 But luckily, I’ve had this chalkboard paint, it is a very handy paint specially if you have kids around and like making projects with them. 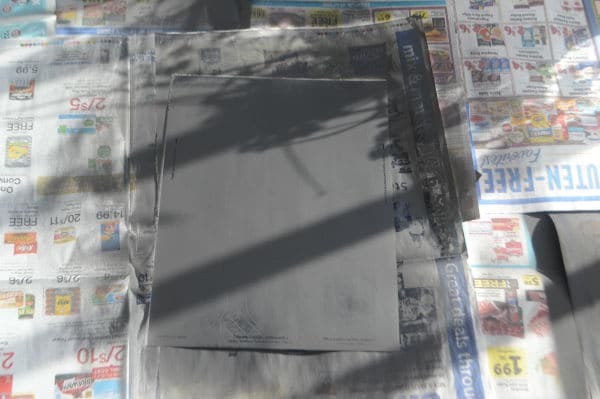 In an open air space, cover the ground very well with old newspapers and spray the sticker sheet, wait until they are completely dry. The point in using a chalkboard paint is being able to write and rewrite on them multiple times, plus it gives a nice look to the jars.. don’t you think so? Now arrange them in the drawer nearest to your stove. 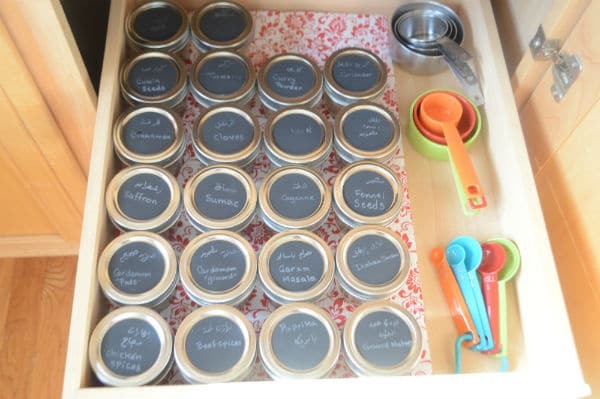 I’ve also added my measuring cups and spoons nearby to make the process even more convenient. 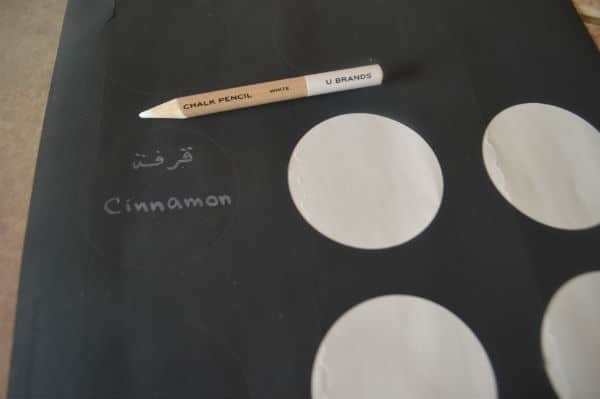 I wrote with both languages (Arabic/English) to make it easy for everybody around the house to spot what they needed. 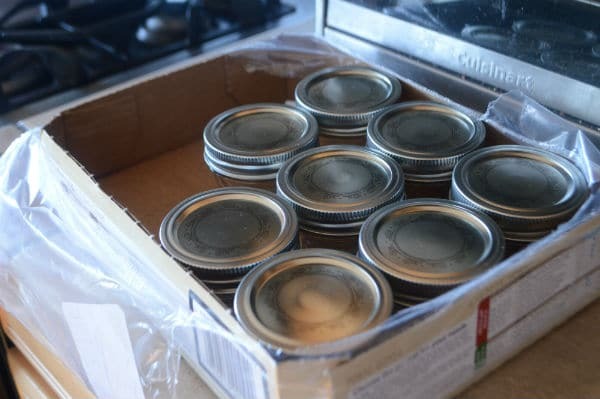 Now If you have only cabinets in the kitchen then you’ll probably want to stack 2 or 3 jars on top of each other, label them in the front not the top and organize your jars U shaped. I’m very pleased with the ease that came with this new spice drawer, it needed a little investment in the beginning in terms of buying the jars, labels and so on but it surely worth it. 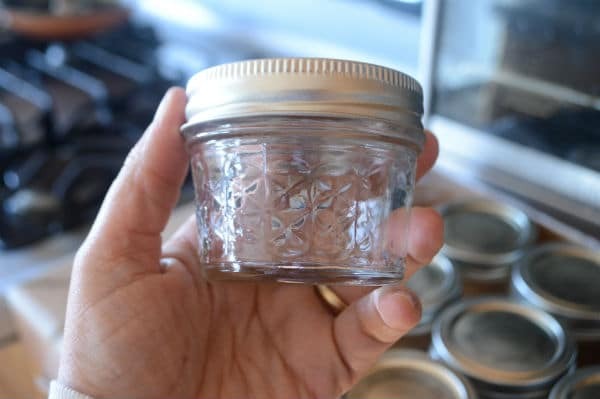 I had to part with so many bottles that either expired or I emptied what was there in these little cute jars. I hope you liked today’s little project and probably making it a family project during the upcoming spring break. Speaking of which, I will be spending that time with my family. Don’t worry, I’ll not leave you empty handed, I have quite interesting old recipes to share. Until then, have a wonderful spring time! These do look so pretty and organised. A sensational idea thank you for sharing Amira. I SO need to organize my spices. And pantry. And … well, almost everything! Some great ideas here — thanks. Great job, I think this will work wonderfully in your kitchen.